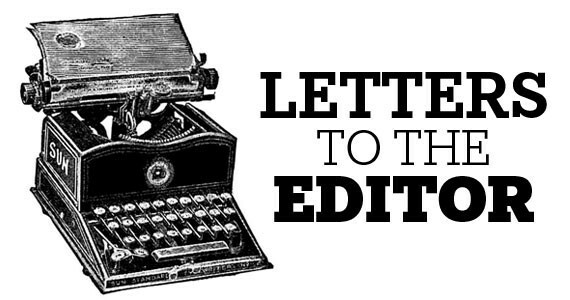 Our apologies for the delayed response, but we are writing to respond to a letter to the editor that you printed on September 6, regarding a land and water ceremony in Point Pleasant Park this summer ("Settler nonsense," Reply all, writer's name withheld by request). We were two of the organizers of that ceremony. The letter writer accused us of cultural insensitivity and of co-opting Indigenous political activism. We hope to add to the conversation and to respond to the writer's concerns by sharing our planning process and goals. The ceremony was conceived by the two of us. We both know Starhawk and knew that she was planning to do some permaculture training in Nova Scotia at that time. Although the letter writer described Starhawk as someone with a history of "coming in uninvited and leading ceremonies that don't feel quite right," we see her very differently. As well as being an internationally recognized eco-feminist and an activist who has been on the front lines of the social justice and environmental movements for over 40 years, Starhawk is also one of the mothers of the neo-pagan movement, an eco-feminist, Goddess spirituality movement which experienced a revival in the 1970s. Neo-paganism, or the women's spirituality movement, was inspired by ancient, pre-Christian European pagan traditions. There are currently many offshoots of this movement, and many people are affiliated with this form of spirituality. Some people know it as Wicca; others call themselves druids. In the Reclaiming movement which Starhawk co-founded, we call ourselves witches. The witch hunts that took place from the 1500s to the 1800s in Europe were an attempt to exterminate these religions, and amounted to a spiritual genocide of indigenous European religions by the Christian church. This genocide mirrored similar attempts in other parts of the world. Given that Starhawk was coming, we wanted to plan a Reclaiming-style pagan ritual for local witches and neo-pagans. However, we wanted to acknowledge that we would be doing ceremony on unceded Mi'kmaq territory. We hoped to create a link between our neo-pagan settler communities and Mi'kmaq communities, because of our many shared values. We also wanted the ritual to encourage settlers to become more involved in protecting the Earth and water and to honour those who are involved in the environmental movement and actions dedicated to our planet's protection, both Indigenous and settlers alike. We began our planning by reaching out to the Indigenous community and inviting a Mi'kmaq elder to join us in the planning. He did join us and was involved in the designing of the ritual. We extended the invitation to other elders as well. We reached out to many groups, including the land defenders at the Treaty camp resisting the Alton Gas pipeline, inviting them to help us to plan, or to join in this ceremony for land and water. We began our ceremony with asking permission from a local elder to hold a ceremony on the land, and we offered him tobacco. We also asked permission from the land itself and the spirits who inhabit the space now. During the ritual there was an Anishinabe water carrier who lead a song for the waters, and a Mi'kmaq woman who likewise shared a Mi'kmaq water song. We sent funds raised by the ceremony to the Treaty camp to support their work. Though we would have liked more people from the Alton Gas resistance to have joined us, we did not feel it was required that any of these groups come to our event for us to support the work that they are doing. We respect that our form of ceremony is not for everyone. This ceremony was to pray for and spiritually support ALL land defenders and water protectors.